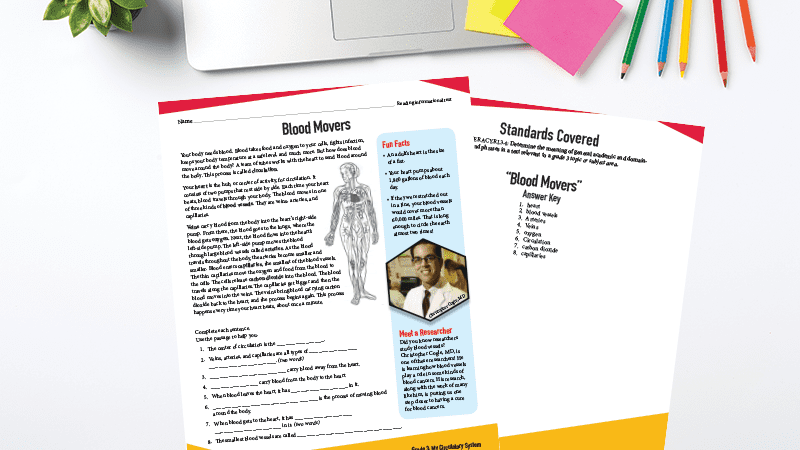 Invite students to learn about the human body with these free activities. Pennies for Patients is a science-based, service learning program benefitting The Leukemia & Lymphoma Society (LLS), the world’s largest nonprofit fighting blood cancer. http://www.studentseries.org More articles in this campaign. 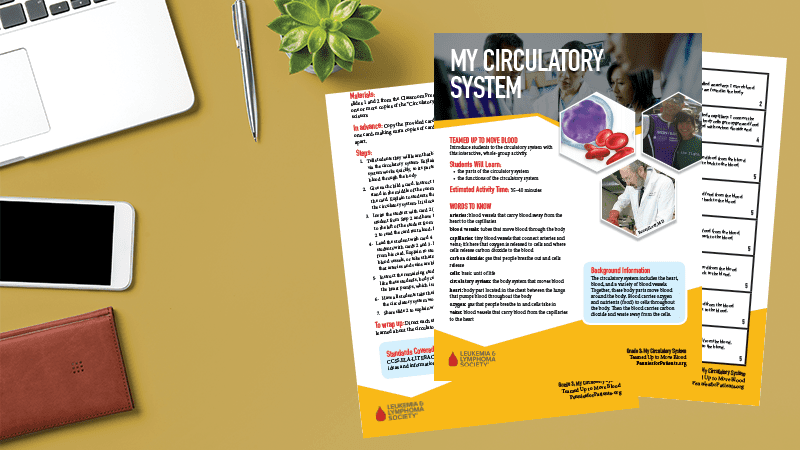 We’re excited to be sharing a fun and free circulatory system lesson plan and other amazing resources from The Leukemia & Lymphoma Society. 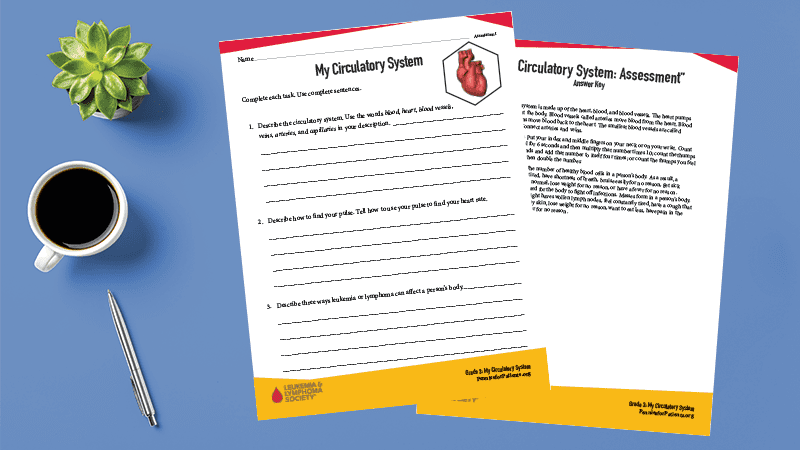 These resources teach students about the circulatory system in a hands-on and engaging way. The lesson includes background information on the circulatory system as well as detailed instructions for fun hands-on activities. These activities work by themselves but also go hand-in-hand with a Pennies for Patients campaign. 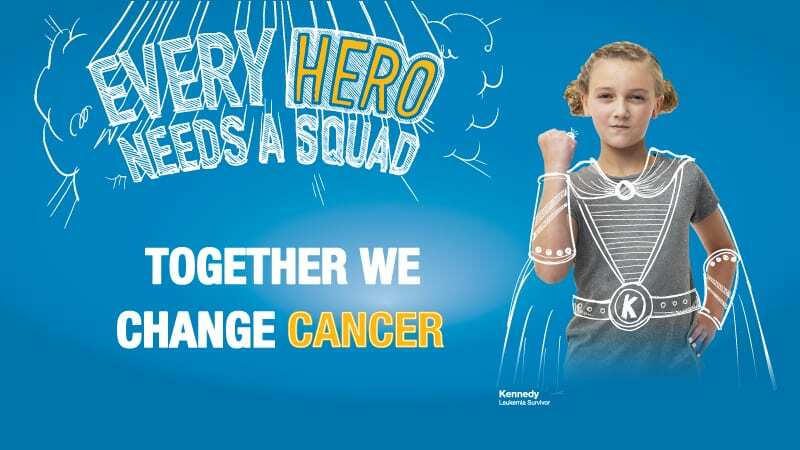 Pennies for Patients is a three-week service-learning program for elementary and middle schools where students apply STEM knowledge as they learn about, and support, the cutting-edge work being done to combat cancer. Check out a sample lesson plan, reading activity, and assessment below or sign up here to join Pennies for Patients and receive the full STEM curriculum—55 lessons in all! Like these resources? Just submit your info to get your school started with Pennies for Patients and get the full curriculum—with 55 lessons and a full teacher’s guide! Yes! Please send me more information on Pennies for Patients.